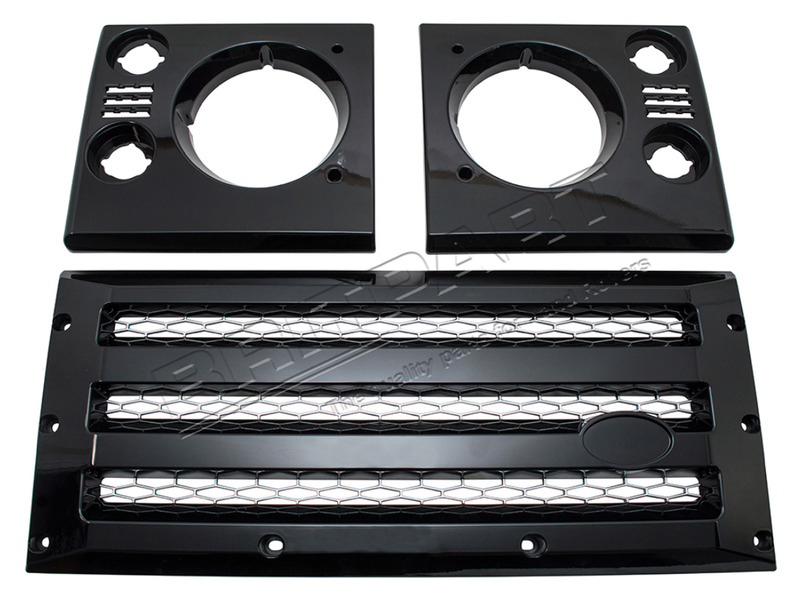 XS Front grille & headlamp surround set. Black with silver mesh. Fits non air-con Defenders. XS Front grille & headlamp surround set. Silver with black mesh. Fits non air-con Defenders. XS Style side wing vent for Defender. Black with silver mesh. Fits right hand side. XS Style side wing vent for Defender. Silver with black mesh. Fits right hand side. XS Style side wing vent for Defender. Black with silver mesh. Fits left hand side. XS Style side wing vent for Defender. Silver with black mesh. Fits left hand side.